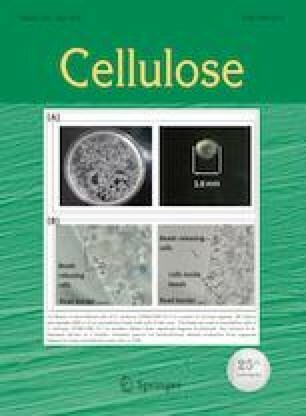 Cellulose Nanocrystals (CNC) have received significant attention due to their high Young’s modulus, high strength, biocompatibility, and renewability. These properties make them ideal as a reinforcement phase for polymer composites. However, typical composite processing techniques have limitation in efficiently fabricating composites with different shapes. Inspired by the emerging technology of 3D printing, this work utilized the digital light processing (DLP) 3D printing approach to fabricate CNC reinforced poly (ethylene glycol) diacrylate (PEGDA) glycerol composites. To improve CNC compatibility with PEGDA matrix, 1,3-diglycerolate diacrylate (DiGlyDA) that has a similar chemical structure but also has hydroxyl groups was blended with PEGDA. The dispersibility of CNC was characterized by the Halpin–Tsai model and polarized light microscopy. Mechanical testing results indicated that mechanical properties of DLP 3D printed composites were improved by CNC incorporation. Furthermore, curing layer thickness during DLP 3D printing can also be used to tune the composites’ mechanical and water swelling properties. Complex 3D CNC composites structures were also successfully printed by the DLP 3D printing with great fidelity. This versatile approach of controlling composite’s properties and structure using CNC and DLP 3D printing can be exploited to further advance the utilization of cellulosic materials toward biomedical and many other applications. The online version of this article ( https://doi.org/10.1007/s10570-019-02353-9) contains supplementary material, which is available to authorized users. The support of an AFOSR Grant (FA9550-16-1-0169; Dr. B.-L. “Les” Lee, Program Manager) and the NSF award (CMMI-1462895) are gratefully acknowledged. A gift fund from HP, Inc is also greatly appreciated. This work was performed in part at the Georgia Tech Institute for Electronics and Nanotechnology, a member of the National Nanotechnology Coordinated Infrastructure, which is supported by the National Science Foundation (Grant ECCS-1542174). The authors of this paper would like to thank the Renewable Bioproducts Institute at Georgia Tech for providing the Paper Science and Engineering (PSE) fellowship financial support. The authors also thank Professor J. Carson Meredith for the usage of the polarized light microscope.